Please understand that this article is general in nature and does not substitute for legal advice on your particular case. This article assumes that your spouse is outside of the country not inside the United States. If your spouse is inside the United States you should visit our marriage green card page. 1. You are not required to be a United States Citizen. You do not have to be a U.S. Citizen if you would like to file a petition for your spouse. You may be a permanent resident (green card holder) and apply for your spouse. The wait though generally will be quite a bit longer. Wait times vary but currently green card holders should expect to wait at least a year or possibly much longer than U.S. Citizens for this type of case to fully process. Therefore, if you are a permanent resident, and you qualify to become a U.S. Citizen, you may wish to look into this option. You could apply for your spouse and also apply to become a U.S. Citizen. If your U.S. Citizenship is granted your wait time could be decreased substantially. However, keep in mind, that a green card holder who applies for citizenship does put his or her green card on the line. This means that you can lose your green card if your citizenship case does not go well. The most likely reason is that the US Citizenship applicant has criminal issues which have come up since he or she obtained a green card. Many times USCIS is not aware of any criminal issues you have had since obtaining your green card until you apply for Naturalization. Once they find out about these problems they may take your green card from you. Not all past criminal problems would cause you problems if you were to apply for U.S. Citizenship. We can let you know if you will have a problem applying for U.S. Citizenship. 2. The U.S. Citizen or U.S. Permanent Resident will have to show she has sufficient income to support her fiance when he arrives in the United States. The poverty guidelines are put out by the federal government and they change every year. It is a rare case when our office cannot figure out a way for you to meet this requirement. Simply call us, free of charge about this issue. We are very likely able to help you. The income requirement is not very high and it varies based on the size of your household. Your income must be at least 125% of the federal poverty line for your new household size. Count yourself in your household size. If it is just you and your spouse (no children involved) your household size will be 2. For example: In 2019, if your household size is 2 your income will need to be $21,137 or higher. This rate is higher if you reside in Alaska or Hawaii. Here are the income guidelines for your new household size for 2019. If you do not meet the income requirement you may be able to use assets which you own to meet the requirements. If you are unable to meet the income requirement you may get a co-sponsor to help you. Usually co-sponsors consist of close relatives and very good friends. You will be filing Form I-864 not the I-134 form. You will also supply: a bank letter (showing the amount you have on deposit with the bank, the date the account was opened and the total amount that was deposited in the past year); an employer letter on company letterhead which states that you currently work there, how long you have worked there, how much you make, what your job is, and whether the job is temporary or permanent); statements from your investment accounts and your last 3 years worth of federal tax returns. It is much better to wait until you know, for sure, that your divorce is final, then to file your case prematurely and have it denied. If your case is denied do not expect to appeal the decision. Rather, you will need to start the whole process all over again. 4. Your immigrant spouse cannot have been convicted of certain crimes. USCIS will be looking at the criminal background of the immigrant spouse. The immigrant spouse must not have been convicted of a variety of crimes such as prostitution, money laundering, fraud, crimes of moral turpitude (a long list of various serious crimes) etc. Just to be safe, if your immigrant spouse has had any crime in your past then an immigration attorney should review the matter prior to you filing your marriage green card case. It is better to take the time in the beginning to clear up any criminal issues then to have them come up during the case. You should never lie to USCIS and you should expect them to know about your criminal history. Also, if you have one, your immigrant spouse should be told about your criminal past. It will really hurt your case if, at the interview, your spouse has no idea that you were convicted of the crime in question. It will really make your relationship seem less bona fide and can lead to your case being denied. Should I hire an attorney to work on my Spouse’s green card case? For a full discussion concerning this issue please read our blog article title: “What You Should Know Before You Hire an Immigration Lawyer. Bonus Tips: Top 10 Reasons Why Your Marriage Green Card Case Can Be Denied. Your spouse has violated the terms of his or her U.S. visa in the past. Overstaying a visa by more than 180 days for example can cause your spouse to not be able to obtain a fiancé visa for 3 years. Not being able to financially support your spouse. You must show the U.S. government that you make 125% of the federal poverty level for this type of case. This is because you will be paying the U.S. government back in case your spouse gets government benefits. If you do not make this amount of money you may be able to obtain a co-sponsor to help or you may have enough assets to qualify. Either you or your spouse having past criminal issues. Any past criminal matter should be evaluated by an Attorney, prior to filing, to make sure it will not cause the case to be denied. You file your case when one of you is not free to marry. A case will be denied if it is filed early before you are legally divorced. Prior to filing you should make absolutely sure that all previous marriages, for both parties, are completely terminated. Your social media makes it seem like you are not married. Your relationship status is unclear on your social media sites. The paperwork you provide USCIS is incomplete. You may be given a Request for Evidence to correct this type of problem or your case could be denied. If you do receive a request for evidence (RFE) you need to timely provide the requested information or your case will be denied. Not Telling the Truth on Your paperwork. Lying on paperwork can lead to very serious consequences. Simply do not do it. Your spouse has a medical condition which could threaten public safety or is mentally ill or has a drug or alcohol problem. The Immigration Officer has reason to believe that the relationship is not real. This may include a large age difference, limited visits between the parties, not speaking a same language or there being a short amount of time from the time of meeting to the time of applying for the green card for your spouse. It is important that your spouse know you very well and that he has a good interview. Your spouse has a bad interview. Your spouse should know a lot about you in order to have a good interview. It may be embarrassing to you but tell her all about yourself, your past relationships and any criminal history. This way she will have a better chance of success. If you have not yet gotten married to your loved one you may wish to consider filing a fiance visa. Only U.S. Citizens can apply for fiance visas. The main benefit to fiance visas is that they are almost always faster than the marriage route while your loved one is abroad. Currently fiance visas are taking about 9 or 10 months to process (2019 fiance visa processing times) If you are interested in considering a fiance visa please feel free to contact our office. The information above is meant to be informational in nature and in no way takes the place of a consultation with an immigration attorney. The information is general in nature and may or may not pertain to your particular case. Always consult with an immigration attorney prior to filing any paperwork with USCIS. 1. Know Your Fiance The number one thing you can do to make sure you do well at your interview is to know your fiancé very well. You should know about his past (previous marriages, criminal matters etc.) and know all about his current situation (where he works, where he lives, does he have children etc.) Knowing your fiancé well will put you in the best position to ace (not just pass) the fiancé visa interview. 2. Be Prepared Talk to your fiancé and review the facts surrounding the history of your relationship prior to the interview. You should know when you met, how you met and how the relationship developed. You should also know your joint plans for the future. 4. Bring Paperwork. Bring all the paperwork that the embassy requests you to bring to the interview. This also includes your interview notice, your entire K-1 package and all supporting documents that you have filed during the case. Also bring documentation available to prove the “bona fides” of the relationship e.g. proof of contact with each other through cards, social media, phone etc. Bring originals of all the key documents that you were required to file during your case and an extra copy for your file. 5. Proof of Support. If your American fiancé is sending you money for support bring proof of that support to your interview. 6. Never Lie. Never lie or mislead the Immigration Officer at your interview. Always tell the truth. Lying can have long lasting and very severe consequences in your case. Also, immigration officers are trained to find inconsistencies in cases. 7. Never Argue. Never argue with the Immigration Officer handling your interview. Always stay calm. In the history of fiancé visa interviews I do not think arguing has ever improved the chances of a fiancé obtaining a fiancé visa. On the contrary, cases that may have been approved may have been denied due to fiances arguing with USCIS officers. No matter how tempted you are do not argue with the officers. If you have a temper you may wish to do a mock (practice) interview with a friend. Have your friend try to make you angry and practice how to calmly answer the questions. 8. Don’t Tell Your Life’s Story.Answer the question you have been asked. Do not go off on tangents about things you think the immigration officer needs to know. He will ask you what he needs to know. For example, if the officer asks you your name do not blurt out your life’s story. It is understandable that you may want to talk to the officer about your situation as you have waited months (currently 9 months) to tell you story. Resist this temptation and instead simply answer the questions you are asked. Hopefully, your file is very strong and the officer will not need to ask you a lot of questions. A strong file will make it more likely that your case is approved. 9. Stay Calm and Carry On. Stay calm and do not appear nervous. It is normal to be nervous. However, try not to act nervous as it could appear that you are trying to hide something or that you are not telling the truth (which you should be). The entire interview is likely to last only 15-30 minutes. It could even be shorter if the Immigration Officer is satisfied with the file and the interview. Do mock (practice) interviews so that you know how to behave during the real interview. 10. Follow Instuctions. Do not, under any circumstances, open the thick sealed envelope that you receive at the end of your interview. Doing so can have very severe consequences including having your fiancé visa revoked and a denial of entry into the United States for years. For more information about the ins and outs of the fiance visa process please read our popular article titled: Top 10 Things You Should Know About the Fiance Visa Process. c) The medical examination fee will vary by country. In some countries it is as low as $60 and in some countries it is as high as $300. This fee will be paid directly to the medical provider and will be paid prior to the fiance visa interview near the end of the case. As you can see the filing fees are staggered throughout the case. You are not paying all of the government filing fees at one time. In addition, there are other small miscellaneous costs. For example, you will need to pay to have any supporting documents which are in a foreign language translated into English (for example a birth certificate), for a passport for your fiance (if she does not already have one) and passport photos for the case. Obviously if you file your case yourself you will only need to pay the filing fees in your case. If you work with a paralegal, “immigration consultant” or notario (who may or may not have any actual training, may or may not be licensed or insured and who cannot give you legal advice nor talk to the embassy or consulate on your behalf) the fees will be less than what an attorney would charge. However, the help that they will be able to provide you will be limited. An attorney, although he or she would likely charge more than a paralegal, “immigration consultant” or notario , is professionally trained to see all potential issues and potential pitfalls in your case and help you succeed. An attorney, unlike a paralegal or notario, can give you legal advice, look at all the possible problem areas in your case, and talk to the embassy or consulate on your behalf if any problems were to arise in your case. Given that the current approval rate for fiance visas is in the 50% range and that a failed fiance visa case can cost you to be separated from your loved one for an extra 9 months (or much longer for other more serious consequences) it would seem to make sense to at least consult with an experienced immigration attorney prior to filing any documents with USCIS. If you would like more information about the fiance visa process make sure to read our popular blog post: Ten Things You Should Know About the Fiance Visa Process. This article is for informational purposes only and is not intended, in any way, to be legal advice. Please always consult with an immigration attorney prior to filing any paperwork with USCIS. The above filing fees change regularly. Lawrence Gruner is a Sacramento Immigration Lawyer with over 20 years of experience handling immigration cases. His office handles cases in California, the United States and the World. He would be happy to talk to you about your immigration case. You can email him your fiance visa questions at attorneygruner@gmail.com. You may also call him at 916-760-7270 or 888-801-6558. His office offers affordable monthly payment plans for fiance visa cases. The information provided in this article is for informational purposes only and should not be relied upon in place of a consultation with an experienced immigration attorney. Laws can and do change. Always consult with an immigration attorney prior to filing anything with USCIS. Failure to do so can have very serious consequences. We wish you all the best in your case. 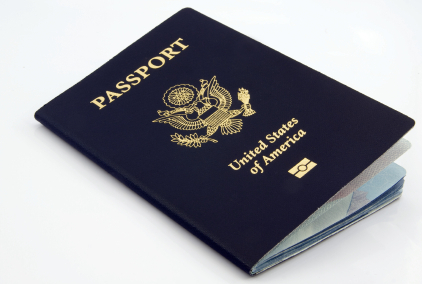 Is Your Spouse in the United States or Abroad? The wait time to get a green card after marriage will vary depending on where your spouse is located. If your spouse is in the United States, and he or she qualifies to obtain permanent residence via the adjustment of status process, the wait time between locations in the United States will vary. For example, most of these types of cases we file are in Sacramento and San Francisco California. In Sacramento currently the wait time is about 8 months from start to finish. In San Francisco, for cases filed in 2017 the wait time was 12 to 18 months. Cases filed in 2018 were processed faster. It was possible to file your case in 2018 in San Francisco and have your interview sooner than had you filed a similar case in 2017. We filed a case in late 2018 in Fresno and had the interview 5 months later. In other words wait times are all over the board currently. It depends on where your case is adjudicated and their current case load. This was not always the case. For over 10 years the wait time on these cases was roughly 4 months for both Sacramento and San Francisco. Wait times currently for these types of cases, surprisingly, seem to be shrinking, just a bit, overall. We will see if this trend will hold true over the next couple of years. If your spouse is in another country and you file an I-130 for him or her you should expect the wait time to be between 12 and 15 months in 2019. For many years the wait time, from start to finish was only 9-12 months. The wait time, overall, is longer under the current administration. I expect the wait time for these types of cases to increase a bit over the next couple of years. Is a Fiance Visa Faster? A fiance visa is almost always going to be a faster route to bring your loved one into the United States. This assumes that the case is prepared and filed properly. However, there are trade offs when you file for a fiance visa instead of marrying your loved one abroad and filing for their green card in their home country. However, if you do a fiance visa, unlike a marriage abroad case, you most likely would be able to do a prenuptial agreement (speak to a family law attorney) which you may not be able to do, or may not be able to do very easily, if you get married abroad (again speak to a family law attorney). With a fiance visa your loved one would likely not be able to work in the United States for 3-6 months (times vary) after he or she arrived in the United States. The fiance visa route is currently taking about 8 to 9 months from start to finish (all 3 phases not just initial USCIS approval). If you have not yet married your loved one you may want to seriously consider the fiance visa route. (You can see the timeline to see how long this will take.) If you are interested in learning more about the fiance visa route please read: Top 10 Things You Should Know About the Fiance Visa Process. The information above is for informational purposes only and is not meant to take the place of a consultation with an experienced immigration attorney. Laws can and do change. Therefore, you should always consult with an attorney prior to filing anything with USCIS. The Washington Post ran an interesting article recently titled: “Immigrants seeking citizenship face growing longer wait times for their applications”. “The number of immigrants aspiring to become U.S. citizens surged during 2016, increasing 27 percent from a year earlier as Trump made cracking down on immigration a central theme of his campaign. At first, the government kept up with the applications, but then the wait grew. Backlogs are nothing new in the U.S. immigration system. It often takes years to receive asylum or to be deported. But naturalization — the final step to become a citizen, obtain a U.S. passport and receive voting rights — had not been subject to such delays in recent years. “U.S. Citizenship and Immigration Services said the longer waits to naturalize are because of the surge in applications, not slower processing. The agency decided 850,000 cases in 2017, up 8 percent from a year before. Wait times are varying by region in the United States. In Sacramento California the wait time is currently about 6 months. San Francisco’s wait time is about a year. San Jose’s wait time is about 9 months. These time periods will likely change over the next year or two. I expect the wait times in these areas (as well as many other places in the country) to increase over the next two years. Please also see our video below explaining the top 10 reasons fiance visas are denied. The Milwaukee Journal Sentinel ran an interesting story recently titled “We fell in love before we met: Wisconsin Man sues over visa denial for his Chinese Fiance”. The article is about an American man who is trying to compel the U.S.government to reactivate a fiance visa application after a fiance visa denial. The article quoted Edward Fallone, a Marquette Law School professor who taught immigration law for years, saying that he’s not surprised at (the U.S. Citizen’s) predicament, given the current policies on immigration. The decline began before the current President took office, in part due to the mass shooting in San Bernardino, Calif., in December 2015. One of the shooters, Tasheen Malik, had entered the U.S. on a K-1 visa. She and her husband died in a shootout with police after the couple killed 14 people and wounded 22 others. After this incident USCIS started looking more carefully at fiance visa cases. This coupled with the current political climate in the U.S. are likely key reasons why the current approval rate for fiance visas is in the 50% range. Why are Fiance Visa Cases Denied? Here are the Top 10 Reasons. Given the current high denial rates you should, at a minimum, consult with an experienced immigration attorney prior to filing any documentation with USCIS. We are happy to consult with you free of charge about your situation. We will review all of your options, including the fiance visa option to help you determine the best course of action for you and your family. If we end up working together on your fiance visa case, or marriage green card case, our fees are very competitive and easy monthly payment plans are available. Lawrence Gruner is an immigration attorney with over 25 years of experience handling immigration cases. He can be reached at 888-801-6558 or 916-760-7270 or you may email him at attorneygruner@gmail.com There is no charge to ask him fiance visa questions where no legal research is involved. His office handles fiance visa cases in California, the United States and the World. This article is informational in nature and does not take the place of a consultation with an experienced immigration attorney. Always, at a minimum, consult with an immigration attorney prior to filing any documents with USCIS. All the best to you! I am often asked: What is a K-1 visa? A K-1 visa is another name for a fiance visa. A fiance visa is used to bring someone who you intend to marry into the United States. If you only want a friend or family member to come visit you in the United States then you would not undergo the K1 visa process. Instead you would try to help your friend or family member obtain a visitor’s visa. A visitor’s visa can be obtained much faster than a fiance visa. Many times a person can find out the same day if a visitor’s visa would be granted. Unfortunately, a fiance visa currently takes between 7 and 9 months to obtain. This timeline is likely going to increase over the next couple of years. A fiance visa will not allow your fiancé to live in the United States indefinitely. It only allows your fiancé to enter the United States on a very temporary basis (90 days). If your fiancé wants to stay in the United States the she will need to marry you within 90 days and then apply for a green card. The process used to change from the K1 visa to the green card is called adjustment of status. Whenever anyone contacts my office about a fiance visa I make sure to talk to them about the possibility of going to their fiance’s home country and marrying their fiance instead. There are definite benefits to going this route instead of the fiance visa route. However, as the fiance visa is a faster way to bring their future spouse into the United States, most of my clients choose this option. Here are some things to consider when choosing between both options. The fiancé visa is a faster way to bring your loved one into the United States. The current fiancé visa waiting time, from start to finish is between 6-9 months with 8 months being the most likely amount of time to wait. The fiancé visa should allow your loved one to arrive 3-5 months sooner than if you do a CR1 case. However, the fiancé visa process is a 2 case process. Once your loved one enters with a fiancé visa, you will have 90 days to marry her and then you will need to file for her green card in the United States. The fiancé visa is the preferred way to go if you wish for your loved one to be in the U.S. sooner (even though it will likely cost more overall as you are filing 2 cases); you do not know your loved one as well, or your loved one has never been to the U.S. and you are concerned that they may not like living here; or if you wish to have a prenuptial agreement prepared prior to marriage. Eligibility: You must be a U.S. Citizen, you must be able to marry (not currently going through a divorce); you must have met face to face in the past 2 years; you must be able to financially support your fiancé (and any children involved in the case). The CR1 (marriage green card when your spouse is out of the country) case will take longer to obtain than a fiancé visa. Generally the wait is an extra 3-5 months. However, if you get married to your loved one and pursue this route there are some benefits. The first one is that you do not need to file for a green card once your spouse arrives in the U.S. as he will arrive with a green card. As you are only doing 1 case, instead of 2 as you are with a fiancé visa, the cost should be less (you will have travel expenses if you are in the United States and you wish to go to your future spouse’s country to get married. So there is a possibility that this route overall could cost more than the fiance visa then green card via adjustment of status route listed above) . In addition, with a CR1 your spouse will be able to start working upon arriving in the U.S. With a Fiance visa your spouse may not be able to start working for 3-5 months. Eligibility: You must be married to each other at the time of filing the case; you can do this case if you are a permanent resident (green card holder); You must be able to financially support your spouse (and any children involved in the case). The K-1 fiancée visa can be approved if all of the requirements are met. You must have met each other, in person within the last 2 years. (Some potential clients have contacted my office with the mistaken belief that you must have been in a relationship with your fiance for 2 years–this is not true. Again, you only need to have had a face-to-face meeting sometime in the past 2 years. Video conversations do not count and do not satisfy this requirement. You may be able to obtain a waiver of this requirement based on religious or medical reasons. You cannot obtain a waiver if you cannot get the time off of work or you do not have the financial ability to pay to visit your fiance. You both intend to marry each other within 90 days of your fiancée entering the United States. You will both be required to state to the U.S. government that you intend to marry each other. The U.S. Citizen will file the fiance visa petition with USCIS. (Remember, only United States Citizens, not green card holders, can apply for a K-1 fiancé visa. If you are not a United States citizen but would like to become one then click here for information on becoming a United States Citizen) Once approved by USCIS it will be sent to the National Visa Center (NVC). The National Visa Center will run security background checks on your fiance. If all is in order the case will be sent to the appropriate US Embassy or Conulate. After the US Embassy or Consulate receives the petition, your fiancé will be notified as to what documents to bring to her interview and when and where the interview will take place. The application process for the K-1 visa includes the following: the required documentation, a medical examination along with any vaccination requirements. In addition there needs to be a showing of proof of support along with a completed affidavit of support form (with any supporting evidence–tax returns, letter from your employer showing that you are employed, bank statements). The required documentation for this step can vary by consulate. However, the documents which will be required can be viewed on the applicable US Consulate website. Can I pay extra to make the process go faster? Surprisingly, I am asked this question regularly. U.S. Citizens are ready and willing to pay an extra $1000 or more to USCIS in the form of fees if their fiance can come to the United States sooner. While there is a way to see if your H-1b case can process sooner by paying extra fees (premium processing) unfortunately, or fortunately depending on how you look at it, this option is not available for k-1 fiance visa cases. This could change. However, as of today, it is not available. The best way to bring your fiance here as soon as possible is to retain a quality immigration law firm which is not going to make mistakes to delay your case. The law firm will be able to anticipate and resolve trouble areas prior to your case being filed and also resolve any issues should they arise in your case. Will Mistakes really delay my case? The very short answer is definitely yes. Usually when mistakes are made in a case the delay is between 3-6 months overall. This means that a well filed petition would have resulted in your fiance being with you 90 to 180 days sooner. These are days that are simply lost to the two of you. I have had cases that were brought to me after the case had been denied at the interview. My office was able to successfully re-file the case but the client was simply out 9 months of time. Don’t let this happen to you. Obtain help from a quality immigration law firm to help you navigate the K-1 fiance visa process. Do you remember the old adage that said “you get what you pay for”. This should be kept in mind as you make a decision as to how you wish to proceed in your case. It is definitely true that you can save some money by working with a paralegal, notario, or immigration consultant. However, many times these immigration helpers are not required to be regulated, licensed or insured. They will also not have the training to spot any and all potential issues or problems which could occur in your case (which could be overcome by proper planning). As a result you could go through the whole process and have your case delayed or worse denied. Do you want to risk your case being delayed an extra 6 months because you wanted to save a bit of money? In addition, if there is a problem in your case only an attorney will be able to talk to USCIS on your behalf. Moreover, you will be turning over highly sensitive documents to your legal representative (birth certificates, federal tax returns, bank statements etc.). Do you really want to turn these documents over to a non-lawyer. If you work with our office only an attorney would have access to these highly sensitive documents. Our office makes the process quick, painless, and easy. We have handled these cases for over 20 years. There are no surprises for us. We handle everything for you from start to finish. Our fees are very competitive and we allow you to make low monthly payments on your case. You can call or email us, at no charge, and we can help you come up with the best immigration plan for your situation. Lawrence Gruner is a Sacramento immigration attorney with over 20 years of experience handling fiance visa, green card and other immigration cases. His office is located in Sacramento California. His office handles cases in California, the United States, and all over the world. He may be reached at 916-760-7270 or 888-801-6558. In addition, you may email him at attorneygruner@gmail.com He would be happy to answer your immigration questions. The above information is general in nature and is not intended to take the place of a consultation with an immigration attorney. No attorney-client relationship is formed by your reading this blog article. Always consult with an immigration attorney prior to filing any documents with USCIS. The New York Post ran an interesting article recently titled: “Companies Say Trump is Hurting Business by Limiting Legal Immigration”. According to the article: “The government is denying more work visas, asking applicants to provide additional information and delaying approvals more frequently than just a year earlier. Hospitals, hotels, technology companies and other businesses say they are now struggling to fill jobs with the foreign workers they need. “In April 2017, President Trump signed a “Buy American and Hire American” executive order, directing government officials to “rigorously enforce” immigration laws. The order did not get the kind of attention that followed the administration’s decision to separate families at the Mexican border this summer. A few months later, the president endorsed legislation that would cut legal immigration by half. The bill was introduced by two Republican senators, Tom Cotton of Arkansas and David Perdue of Georgia. But Republican leaders in Congress have not advanced it. “Experts say a sustained reduction in immigration could dampen growth over time as more baby boomers retire, leaving big gaps in the job market. “The H-1B program, which was created to bring in foreigners with skills that business leaders argued would strengthen the economy, has long been a target for some politicians. The visa program has been criticized because corporations have exploited it to replace American workers. Still, many economists say H-1B holders are valuable. Immigrants file patents at twice the rate of native-born Americans and start about 25 percent of high-tech companies in the United States. Overall this was a very interesting article. It should be read to help the reader understand our current economic climate and also to understand how the current stance toward legal immigration may affect our country in the future. The wait time for a green card for your spouse depends on where your spouse is located and what is your immigration status. If you are a U.S. Citizen and your spouse is in the United States and is also eligible to file while in the United States the wait time is currently 6-12 months. This is based on the current time line we are observing in the Northern California immigration offices. If you are a U.S. Citizen and your spouse is abroad the current wait time is about 12-14 months. This is a moving average and it can take longer for your case to complete. (In fact, given the way things are going, I would not be surprised if these types of cases start to take even longer to complete. I could be wrong as some types of cases, which were taking longer in 2017 seem to be moving quicker in 2018. However, these are the exceptions and not the rules.) The 12-14 month wait period assumes that you file everything correctly in your green card case and are not from a country which USCIS considers to be a high fraud area. If you do not file things correctly with USCIS or make mistakes during the process the case will be delayed several months or longer. If you are a permanent resident and your spouse is in the United States and you would like to apply for a green card for him please call our office to discuss. If you are a permanent resident but you are eligible to become a U.S. Citizen it may make sense to apply for your citizenship and, at the same time, file for your spouse as a permanent resident. You can ask USCIS to expedite your spouse’s case once you become a U.S. Citizen. ( If you naturalize you can ask USCIS to upgrade your petition to reflect their status as a US Citizen.) Definitely talk to an immigration attorney if you are in this situation as it may or may not be in your best interests to choose this path. The above timeline assumes that you are filing a quality case. If you have mistakes, are missing evidence or have other problems in your case then the case will take longer. Also, if the marriage green card interview does not go well the case may be delayed several months or even longer. Thus, it is vitally important that you are well prepared for your green card interview and you do everything in your power to do well at this interview. If your interview does not go well , and you are in the United States for your interview, you will likely have to undergo a second “fraud” interview. This interview is much more intimate and can, and likely will, go on for a long time (possibly hours). You will be separated from your spouse during this interview. You will each be asked the same questions and your answers will be compared for accuracy. This is likely going to be a very stressful day for you. You do not want to go through this. Make sure you thoroughly prepare and do well the first time around. Can I pay an Extra Fee to Expedite the Process? Surprisingly, I am asked this question regularly. U.S. Citizens are ready and willing to pay an extra $1000 or more to USCIS in the form of fees if their spouse can come to the United States sooner. While there is a way to see if your H-1b case can process sooner by paying extra fees (premium processing) unfortunately, or fortunately depending on how you look at it, this option is not available in spouse green card cases. This could change. However, as of today, it is not available. The best way to bring your spouse here quicker is to retain a quality immigration law firm which is not going to make mistakes to delay your case. The law firm will be able to anticipate and resolve trouble areas prior to your case being filed and also resolve any issues should they arise in your case. The very short answer is yes. Usually when mistakes are made in a case the delay is between 3-6 months overall. This means that a well filed petition would have resulted in your spouse being with you 90 to 180 days sooner. These are days that are simply lost to the two of you. I have had cases that were brought to me after the case had been denied at the interview. My office was able to successfully re-file the case but the client was simply out 9 months of time. One time I met with a very intelligent man who I believe was a software engineer. His case had been delayed over 2 years as he kept running into problems during the process. He finally had enough and decided to make an appointment with my firm. I went through his paperwork and I was able to spot the problem areas in his case. We were able to successfully handle his case and his wife was in the United States with him very quickly. Needless to say they were both very happy. Will the timelines be shorter in the future? Yes and No. (I sound like a politician I know.) Timelines for immigration cases have varied over the years. For example, when I first started practicing immigration law almost 25 years ago, naturalization cases were taking about 2 years to complete in northern California. Under the combined Bush and Obama administrations (16 years) naturalization cases seemed to be taking about 4 months to complete on average. Currently these cases in northern California are taking about a year to complete. The timeline seems to be based primarily on who the current U.S. President is, what is that administration’s stance on immigration, and the volume of cases being filed. The volume of cases being filed is probably a reflection of the administration’s stance on immigration. Many people are concerned when they believe that they may lose immigration benefits so they want to file their immigration case in order to protect themselves. In the short term I believe that the wait times for spousal green card cases is going to be as long, if not longer, than the wait times of today. The current stance of USCIS is more diligent than what it has been in the past. Cases are reviewed more thoroughly for problem areas. As a result wait times have increased. The long term wait times will be based on future USCIS policies and case volume. Lawrence Gruner is a Sacramento Immigration Lawyer with over 20 years of experience handling immigration cases. His office handles fiance visa cases, green card cases, and naturalization cases in California, the United States and the World. He would be happy to talk to you about your immigration case. You can email him at attorneygruner@gmail.com or call him at 916-760-7270 or 888-801-6558. He would be happy to help you come up with an immigration plan for your case. This article is for general informational purposes only. It is not intended to take the place of an attorney evaluation of your case. You should always have an experienced immigration attorney review your case prior to doing anything. Do not rely on your friends, well meaning family members, notarios , immigration consultants or others for your immigration advice. The stakes are simply too high. You should always speak to an immigration attorney prior to filing any documents with USCIS. Failure to do so can lead to very severe consequences.